One to watch: There will be golf. One to Sky+: You obviously be watching Sligo and Cork City so don’t forget to tape the FA cup game. One to skip: Why are Nottingham versus the Cornish Pirates a game I’ll be skipping? They just are. Basketball: NBA, Los Angeles Lakers v Golden State Warriors, (ESPN, 3.30am, Sat). Cricket: IPL, Delhi Daredevils v Sunrisers Hyderabad ITV4, 3pm). Football: Champions League and Europa League draws, (Eurosport 11am); Npower Championship, Leicester v Birmingham, (Sky Sports 2, 7.30pm); FA Youth Cup semi-final first leg, Liverpool v Chelsea, (ITV4, 7.30pm); Russian Premier League, Dinamo Moscow v CSKA Moscow, (ESPN, 5pm). Golf: US Masters, (Sky Sports 1, 7pm), Setanta Sports Ireland, 8pm). Rugby: Aviva Premiership, Sale v Gloucester, (ESPN, 7.15pm); Super Rugby, Highlanders v Brumbies, (Sky Sports 2, 8.30am); RaboDirect PRO12, Ulster v Newport Gwent Dragons, (TG4, BBC2, 7pm). Motorsport: Chinese F1 Grand Prix second practice, (Sky Sports 1, 6.45am, BBC2, 6.55am, Setanta Sports Ireland, 6.55am); Third practice, (Sky Sports F1, 3.45am, BBC2, Setanta Sports Ireland, 3.55am, Sat). General: Seo Spóirt, (TG4, 8.30pm). Tennis: Houston Open, (ESPN 11pm, 1am, Sat). Cricket: IPL, Mumbai Indians v Pune Warriors and Chennai Super Kings v Royal Challengers Bangalore, (ITV4, 11am). Football: FA Cup semi-final, Wigan v Millwall, (ESPN, 4.30pm); Premier League, Reading v Liverpool, (Setanta Sports Ireland, 2.30pm); Premier Soccer Saturday, (8.45pm, RTÉ Two); Airtricity league, Sligo Rovers v Cork City, (RTÉ Two, 3.45pm); Scottish Cup semi-final, Hibernian v Falkirk, (Sky Sports 1 noon); Primera Division, Espanyol v Valencia and Malaga v Osasuna, (Sky Sports 3, 6.55pm); Serie A, Atalanta v Fiorentina, (ESPN, 7.45pm). GAA: All-Ireland VS SAFC final, Holy Trinity Cookstown v Cnoc Mhuire Granard, (TG4, 1.30pm); All-Ireland Colleges SAFC final, St Patrick’s Classical School Navan v St Patrick’s Maghera, (TG4, 3.15pm). 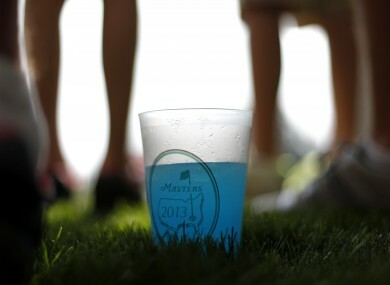 Golf: US Masters, (Sky Sports 1, 7pm, BBC2, 7.30pm, Setanta Sports Ireland, 8.30pm). Motorsport: Chinese F1 Grand Prix qualifying, (BBC1, 6am), Sky Sports F1, 6am), Setanta Sports Ireland, 6.55am). Rugby: Rabodirect Pro12, Munster v Leinster (RTÉ Two, 6pm); Aviva Premiership, Harlequins v Bath, (ESPN, 1.45pm); Super Rugby, (Blues v Hurricanes, Rebels v Kings and Western Force v Crusaders, (Sky Sports 3 from 8.30am); Stormers v Sharks and Bulls Cheetahs, (Sky Sports 2 from 4pm). Athletics: Spar Great Ireland Run, (RTÉ Two, 12.55pm). Basketball: NBA, Miami Heat v Chicago Bulls and New York Knicks v Indiana Pacers, (Sky Sports 3, 6pm). Cricket: IPL, Kolkata Knight Riders v Sunrisers Hyderabad and Rajasthan Royals v Kings XI Punjab, (ITV4, 11am). Cycling: Amstel Gold Race from Holland, (Eurosport, 1.10pm). Football: FA Cup semi-final, Chelsea v Manchester City, (ITV, 3.30pm); Premier League, Stoke v Manchester United, (Sky Sports 1, 2pm); Scottish Cup semi-final, Dundee United v Celtic, (Sky Sports 2 12.30pm); Primera Division, Atletico Madrid v Granada, (Sky Sports 1, 3.55pm); Real Zaragoza v Barcelona and Athletic Bilbao v Real Madrid, (Sky Sports 2, 5.55pm); Serie A, Palermo v Bologna and Genoa v Sampdoria, (Setanta Sports Ireland from 11.25am); AC Milan v Napoli, (ESPN, 7.15pm). Bundesliga, Augsburg v Eintracht Frankfurt, (ESPN, 5.30pm); Ligue 1, Bordeaux v Montpellier, (ESPN 12.45pm); Lyon v Toulouse, (Setanta Sports Ireland, 3.55pm); Eredivisie, PSV Eindhoven v Ajax, (ESPN, 3.15pm). GAA: Allianz FL Division 1 semi-finals, (TG4, TBC); League Sunday, (RTÉ Two, 8pm). Golf: US Masters, (Sky Sports 1, 6pm, BBC2 6.30pm, Setanta Sports Ireland, 7pm). Motorsport: Chinese F1 Grand Prix, Sky Sports 1, 6.30am, BBC1, 7am, Setanta Sports Ireland, 7.55am). Rugby: Aviva Premiership, Leicester Tigers v London Wasps, (Sky Sports, 3.30pm); Championship, Nottingham v Cornish Pirates, (Sky Sports 3, 1pm). Tennis: Katowice Open, (Eurosport, 4pm).